It’s always worth paying a little extra for convenience. This past Monday, I decided to take a slight detour before getting on PATCO to head home, so I walked two blocks to The Foodery and picked up a mixed six-pack of beer. I estimate that The Foodery is about 10 to 15% more expensive than my neighborhood liquor store in New Jersey, but the fact that I can walk there, browse, make my purchase, and be back to the train station in about 20 minutes makes that price differential very worth paying. Although Wine Works in Marlton, NJ has a very good selection of beer, it takes about 15-20 minutes to get there (if there’s no traffic), so going there will take at least an hour of my time. Since Oktoberfest will officially start this Saturday, tonight’s brew review will be The Brooklyn Brewery’s Oktoberfest beer. If you’d like to read more about the Marzen-Oktoberfest beer style, let me point you in Limpd’s direction for his review of the Leinenkugel Oktoberfest. Appearance: Copper colored. Rapidly dissipating head. Very little lacing on the sides of the glass. Aroma: Sweet, light brown sugar. No hops whatsoever. Taste: Very lightly carbonated. Little to no bitterness. Semi-sweet malt flavor. Dry finish. I’ve never had the opportunity to attend Oktoberfest in Munich, but from what I’ve read, most of the attendees drink all day long. If you plan to engage in that sort of activity, I wouldn’t recommend the higher alcohol varieties of beer, unless of course passing out in the middle of the festival thoroughfare is your idea of a good time. The Marzen-Oktoberfest beer style, which usually ranges between 5 and 6% ABV, is all day drinking worthy. 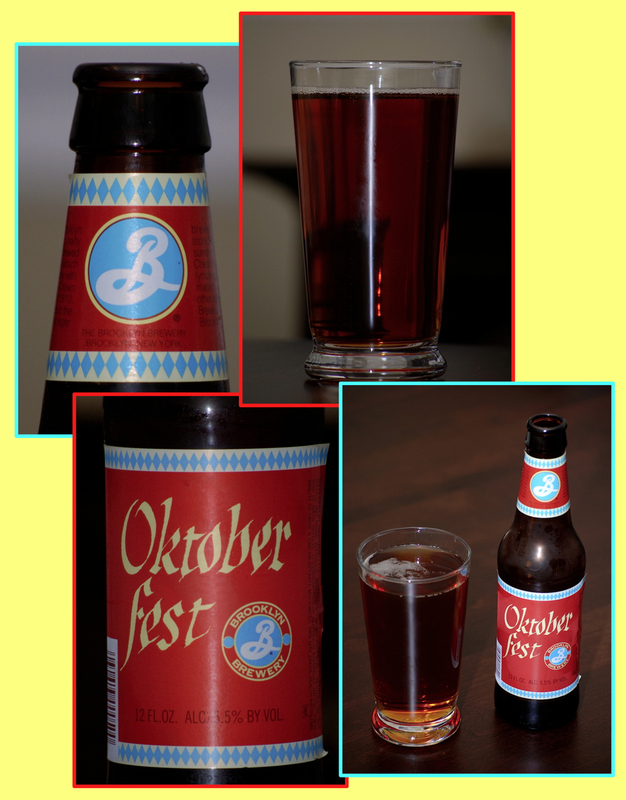 Brooklyn’s Oktoberfest has an ABV of 5.5%, and I would definitely classify this as an easy drinking beer. Although it’s not particularly challenging from a flavor perspective, it is quite enjoyable, and would be a great beer to have on hand for your own Oktoberfest celebration. I give this beer a solid B.